After I returned the chickens to Farmer John, I thought I was done raising chickens. 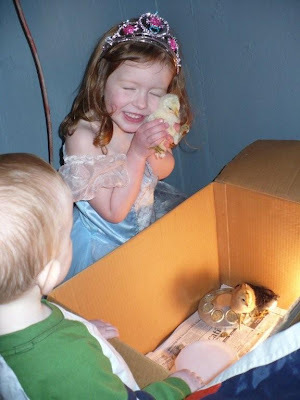 Spring came and I had thoughts of holding sweet, fuzzy, yellow chicks. My own fuzzy, yellow chicks. I didn't want full grown hens that already had problems. I figured I needed cute little baby chicks (in a variety of breeds of course - just like the birds in The Book) so I could bond with them while they were small and help them grow into fine feathered poultry. I took the kids to the local farm and pet store where we were greeted by a slobbery, large golden retriever and the delicate peeping that we had come for. 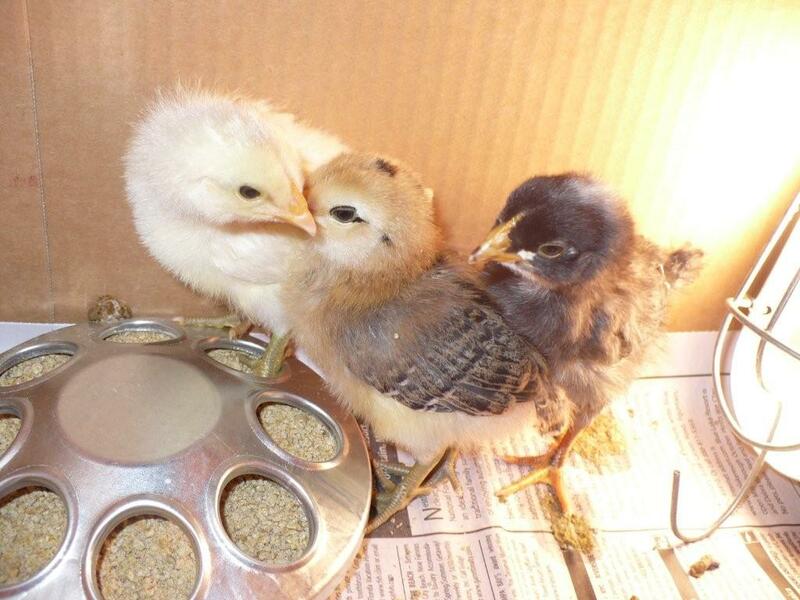 We picked out one white and one brown Araucana and one Barred Rock. The Araucanas would lay light blue or green colored eggs, and the Barred Rock would lay brown eggs. Both breeds were said to be hardy in colder climates and lay well. The lady at the store packed them gently into a container that resembled a Happy Meal box and off we went! I'm sure I annoyed more than one driver on our way home as I turned my car and pressed on the gas ever. so. slowly to make sure I didn't tip the little ladies over. I felt like a new mom all over again. You know how it is when you drive for the first time with your first new baby? You sit in the back with them gripping the car seat with both hands and praying your husband doesn't accelerate too fast. You may even say things like, "Watch out for that car!" "Why is everyone driving so fast?!" "She really should be more careful!" And really, it's just this little old granny going 30 mph, passing you on the right...on the highway. Okay, maybe it wasn't quite like bringing home your firstborn, but it was close. After checking to make sure none of our new little friends had died during the nerve racking ride, we brought them to the basement where we had their new home all set with fresh bedding, warm light, refreshing water, and tasty morsels. It was perfect. They were perfect. So much better than the first unfortunate set of birds. This time things would go better...wouldn't they?